Q4 earnings season preview: Bad news priced in? Fourth quarter earnings season is upon us. In the week ahead, earnings from major U.S. banks for the final quarter of the year will begin rolling in with key reports also expected from across industries. But if the news we’ve already heard from some big U.S. corporates about the final months of 2018 and the road ahead for the global economy are any indication, the weeks ahead are not going to be encouraging. In late 2018, FedEx (FDX) gave investors the first major indication of troubles about the global economy, with company management saying its international business had “weakened significantly since we last talked with you during our earnings call in September.” Adding that, “China's economy has weakened due in part to trade disputes.” FedEx cut its outlook for 2019 as a result. The following day, the Dow dropped 660 points and the Nasdaq fell 3%. Last week, the S&P 500 finished higher in four out of five sessions, giving investors perhaps some sense of reprieve after the brutal trading that capped 2018. During the week, however, corporate America offered investors a message less in-line with how the market behaved and more in-line with what Apple said the prior week. Retailers Macy’s (M) and Kohl’s (KSS) both provided disappointing preliminary looks at the holiday period, as did apparel company L Brands (LB). Target (TGT), however, reported same-store sales that topped expectations for the holiday period. Additionally, two major airlines — Delta (DAL) and American Airlines (AAL) — cut their forecasts. This batch of bad news, however, mostly concerned the U.S. economy. 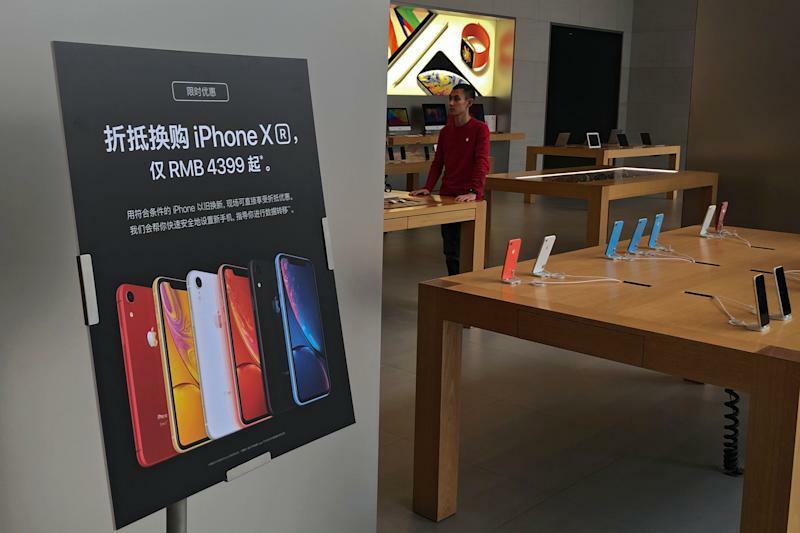 In the earnings season ahead, Apple’s warning about the Chinese economy seems likely to be the most common source of disappointing results. This past week, Goldman Sachs analysts downgraded shares of Starbucks (SBUX) citing concerns about the Chinese economy, while Reuters reported that Beijing will cut its target growth rate for 2019. And this coming week, industrial coatings giants PPG (PPG) is set to report results. And though PPG’s earnings report may often go unnoticed by the broader market, the company back flagged a number of concerns about the global economy back in October that we urged investors to note at the time. Because although Fed policy and the economic situation in the U.S. is part of the basket of potential worries for investors, nothing hurts markets more than the trade war. Overall, the fourth quarter is still shaping up to be fairly robust for corporate profits, with fourth quarter earnings reports from S&P 500 members so far indicating earnings growth north of 10% for the final quarter of the year. Markets, however, are more interested in what will happen to earnings growth than what has. And while the stock market decline we saw during the final months of 2018 was certainly in anticipation of some negative news for companies about 2019, the weeks ahead will reveal just how much disappointment investors are ready to endure as we begin a new phase for the global economy.